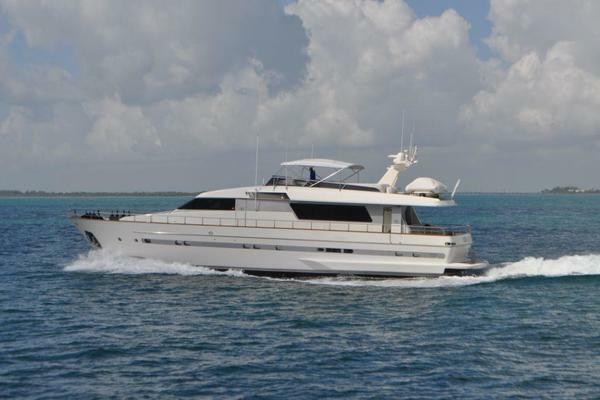 This beautiful 92' Horizon is a factory, custom-built Horizon motor yacht designed for comfort, luxury and fishing.She is stabilized with fins, providing a smooth ride at sea. Her interior is a high-gloss cherry wood with accommodations for up to 8 guests in 4 staterooms. Her twin Caterpillar 3412E engines are very economical at slow speeds, only burning 25 gallons an hour at 10 knots. She is a turn-key operation, and has been maintained and managed professionally by a reputable captain and crew. United Yacht Sales New Jersey would love to guide you through a personal showing of this 92' Horizon Sky Lounge/ Cockpit 2001. 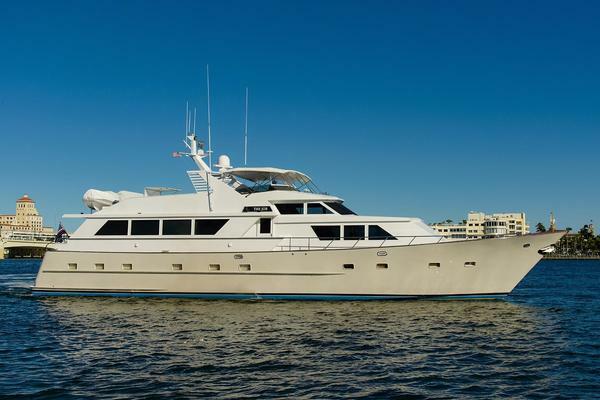 This yacht for sale is located in Ft. Lauderdale, Florida and priced at $1,999,000. For a showing please contact us by filling out the form on this page and we will get back to you shortly! Full exterior refit-2015- Her exterior paint turns heads. She shines like a brand new yacht with her sparkling stainless steel to match her lines.